Auspicious or Inauspicious 4 – 3 – 2 – 1? From a Chinese point of view, the number ‘4’ is NOT auspicious because it writes the same than ‘death’. On the other hand, from a Western point of view, a 4-leaf clove brings luck! and… on most of our keyboards above ‘4’ stands the ‘$’ dollar sign ->that is a much better way to look at it isn’t it. Interior Designers learn to decorate homes with 3 similar objects because it “looks symmetric and better”. We know that from a Feng Shui point of view, what you scan you project… so by seeing around you everything in ‘3’ you may well be welcoming something or someone else in your relationship! Example of what COULD happen – you or your partner may have an affair (then another person is in the relationship) – you or your partner is workaholic (then the intruder is work) – you or your partner (or both) drink too much alcohol,here the trespasser destroying the relationship is alcohol. Decorating with pairs brings a couple closer. When single, surrounding you by pairs will open your mind and prepare you to welcome a relationship. To attract a loving partner, add a chair and the second bedside table. Maybe a good idea to check your decor today! The Red Mat strikes again! Only to say that this morning, when I attended my appointment with a new health practitioner, the red mat stroke again! Here I was lying on her table, we exchanged a few words till we realised that I was a long time ago her son’s first preschool teacher! Indeed, before living my Feng Shui life full time, a preschooler teacher I was, when I initially migrated to Australia. I couldn’t believe how much she was happy to see me, said the kids were sad when I left school, how parents missed me and how fond memories her son had of his first year with me. For a 3 year old then… to still remember me and my name today! Back home, I looked in my old photos and compared my looks. Today I have a few grey hair, more wrinkles, a few more kilos but indeed, my whole persona looks younger because my attitude towards life has changed. We never know how little or how much we bring happiness into people’s lives. How about your red mat? Please share your stories, they always encourage others to make their Feng Shui steps. 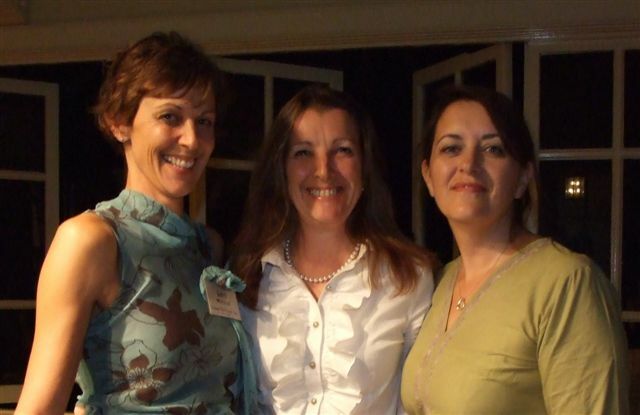 How can I attract more Friends and more Clients? Apply the Magic Square grid onto your premises and find out where the area corresponding to ‘Friends’ is located. This sector number 6 is usually either on the right hand side of your building in which case you enter into it – or – it is on the right hand side of your main entrance. It can be a room, part of a room or part of a couple of rooms. Just draw the lines onto your home plans without worrying about the walls. This sector ‘6’ is the part of your home that relates to the element of Metal. Which means that for your decor, I would encourage you to choose touches of either grey, silver, gold, copper, or glitter in that room. Further meaning for this ‘6’ sector is: Friends, Helpers, Clients, Connections, Travels and Movement. Yes this area is indeed very Yang, very active! To attract new clients, new friends, new connections place a symbol of quantities in that room or on one of its walls. For example: in your sector ‘6’, display a nice bowl with colourful beads or marbles (= quantities) in which you put your hand daily and mix them with the intent of welcoming new people. Would you ignore or forget about that bowl, it then stays static sadly collecting dust – then it won’t do the job! Another example: on one of the walls of your ‘6’ area, place a photo or a collage of people walking towards you and see how many people start calling, visiting or connecting with you! It happens fast, you won’t need 9 days to see them appear. To reconnect with old friends, family or acquaintances (alive or deceased), place a photo of the person next to freshly cut white flowers (symbolising your pure intent) in your sector ‘6’ and you may well hear from them, see them, get an unexpected mail or a phone call within the next few days. Placing the white fresh flower with a peaceful intent is important, this is part of respect. Would you place it with a impure intent, it will have a boomerang effect on you and you don’t really want that! Now, let’s look into the word ‘Helpers’. It could well have two different meanings: either you are the one helping or you are the one seeking help. In both cases, write your wishes carefully (to help or to being helped) on a nice piece of paper without naming any specific person – that is important! Place that wish list under a round faceted crystal and see what happens. You will notice on this colourful Magic Square illustration that your sector ‘6’ includes the idea of ‘Movement’ and ‘Travels’. Movement is life, changes are encouraged – otherwise you feed stagnation and depression. Friends and acquaintances come and go in our lives. We all know the adage “We meet people for a reason, a season or a life time”. Ready for your next move in life? Take a look at that room occupying sector ‘6’ and de-clutter, change touches of your decor, update photos, get rid of all what you don’t really like anymore. For those who are ready to travel, display a photo of your favourite destination and you may well be on your way very soon. Feng Shui helps you to manifest what you wish in life, special experiences, good moments. It is about creating positive emotions TO BE happy not so much TO HAVE money or material possessions. This art of placement is accessible to everyone. I do my best each month to give you some tips and ideas how you can work Feng Shui easily in your home. I am always happy to read from you, post your comments and question under this post. How much do you pay each year to store your material possessions? The best option to feel free is to discard what you don’t really need which can be challenging sometimes… Many of you won’t be able to depart of souvenirs, furniture, books… that accumulate in boxes and that end up taking a lot of space and find a comfortable forgotten spot in a storage unit. It is only when you add the yearly cost that you wonder if really you need to keep all that. To guide you downsizing and de-cluttering, we are going to have a look at what surrounds you and how subtly – the presence of certain objects, photos or art work – influence your daily thoughts and life. 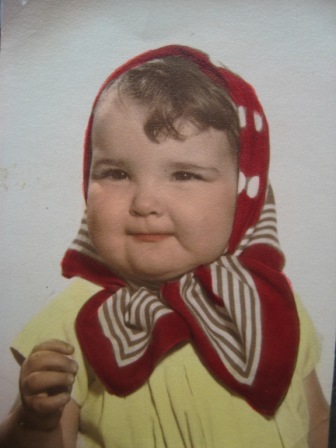 Photo 1 – Preferably display current photos of people – AVOID their baby photos! Photos of People – Display only photos of people that you still count amongst nice family members and good friends. You have a photo of 3 friends but there is one in the photo that you had an argument years ago? Change the photo and update it with the two others. Photo # 2 – Display photo of multiple friends only that you currently still count amongst your friends! Photo #3 – Display photo where we see your back ONLY when you want to turn your back on a situation and you are ready to move forward. Place it then next to your front door. Photos of your couple – A lovely photo of your couple will decorate your home. Photos with the ocean, lake, rivers or other large water element are NOT to be displayed in your master bedroom as water can bring a lack of stability in the couple. A photo with a mountain or a wall behind your back will show support. Objects and Souvenirs – Keep only those that are filled with good memories. For those who travel a lot and buy souvenirs in each country visited, gather them by continent in one room. Having different cultures in the same room can have some energies conflicting. For example, placing a Papua New Guinean mask in the same room than a Chinese Dragon will definitely bring trouble in your household! 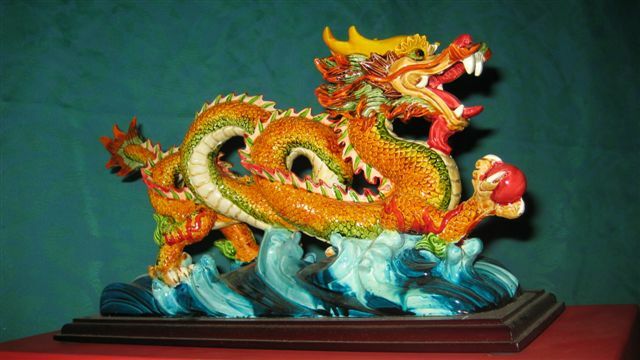 Photo #4 – A Chinese Dragon in a single woman’s home is keeping men away. Dragon in the home of a couple can protect their relationship.